The next major update to the digital board game Armello is on the way, and it’s making a bunch of huge changes. 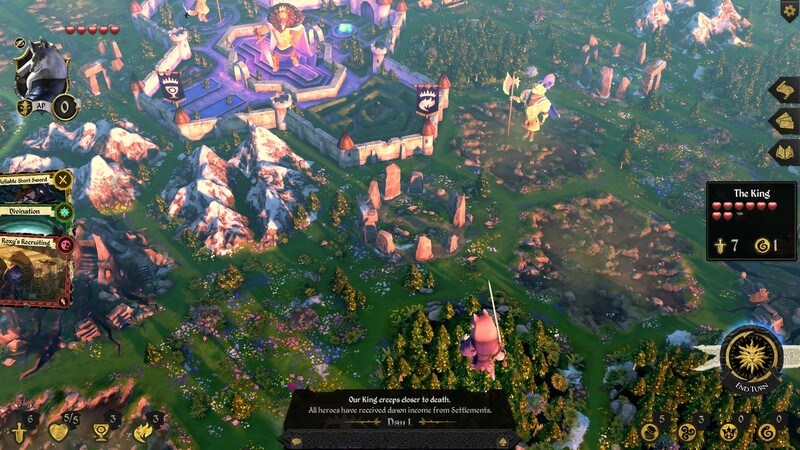 Billed as “Armello’s biggest update,” it brings a number of multiplayer improvements in addition to features that should make the experience that much better. The update is only out on PC right now, but expect to see it come to the PlayStation 4 and other consoles in the near future. The biggest changes will make multiplayer a lot smoother. The Multiplayer Reconnect feature will surely make quite a few heads turn. The feature will let any player who gets dropped from a match rejoin the in-progress game. Considering this is an issue almost every multiplayer game faces, it’s a welcome feature for sure. It’ll also be easier to party up with friends with the new “intelligent” Party Menu mechanic. The improvements include more than multiplayer improvements, however. The Hero Mastery feature introduces new goals for players to work toward. Completing these awards gifts players with numerous cosmetic rewards, including dice skins. Doing things like playing online gives players experience that allows them to level up. Combing through the items you have on hand will also be easier, as well. The all new Jewelry Box allows you to easily view and organize your loot. In addition, you will also be able to see your progress towards obtaining prizes. There will be a new card system as well, which includes new 3D animations every time you use a card. Armello is available now for the PlayStation 4, Xbox One, Nintendo Switch, and PC.